From Las Angeles, all around Sweden and the length and breadth of NZ; Cherry the clown has performed at Kids Parties, Pre Schools, Schools, Malls and Major National and International events. You May have seen him Performing regularly at the Americas cup. Cherry performs a traditional, funny, circus skills, clown show with content best suited to the particular audience’s needs. 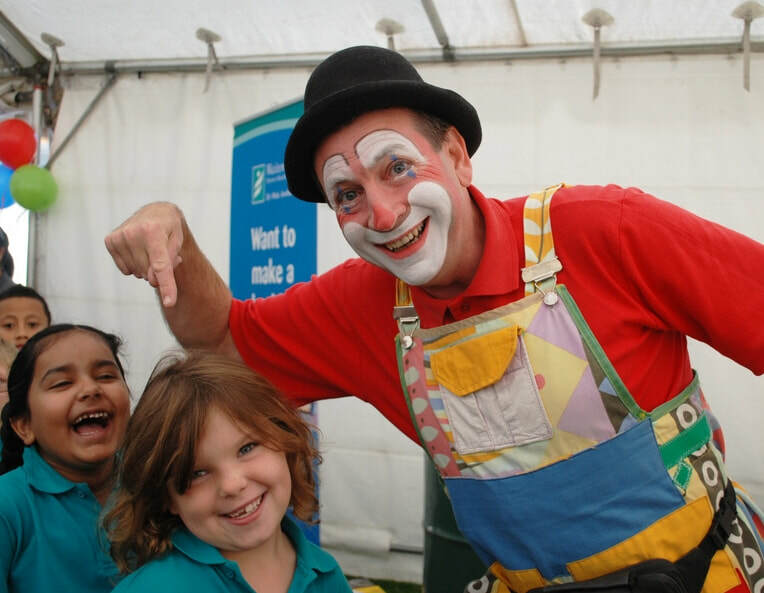 The show delights all with classic clown comedy, magic, juggling, prop type puppets, audience participation and balloon animals for volunteer assistants. Most noticeable about Cherry’s show is the sound of Children laughing.